There are four games on tap for this weekend in the Big Sky Conference, so let us take a look at each one. Ranked in order from most compelling to least compelling. This is a game that the Bobcats can win, and I believe they will win. Both teams are 1-1, and this one will be played at Utah, but the Bobcats are simply the more talented team this season. So far this season the Utes beat San Diego Christian at home by 3 and lost at Boise State by 21. The Bobcats lost by 6 at Arizona State, and beat Northern New Mexico by 50. 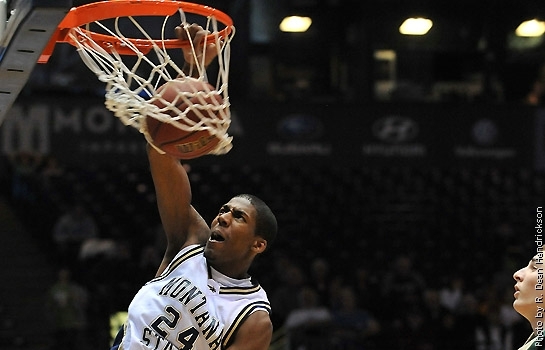 Montana State is more athletic and deeper than Utah, who is simply not a solid basketball team right now. After watching this game, if you didn't know any better, you'd think Montana State was the Pac-12 team. Montana is 2-1 and coming off of a win against WAC team Idaho, while San Diego is 2-0 but their best win is against Stephen F. Austin. As usual the Grizzlies are a solid defensive team, while the Toreros have struggled a bit offensively so far this season efficiency-wise. I think that combination will be the difference to help Montana win a close one to pick up a solid out-of-conference victory. The Bears are 0-2 and coming off an ugly loss to Wyoming, and now will take on Northern Iowa in the first round of the South Padre Invite (they will take on Iowa State on Tuesday). The Bears desperately want to avoid leaving the tournament 0-4, but they will have their work cut out for them. The one thing you know about the Panthers under Ben Jacobsen is that they are very disciplined and sound defensively, and that can be frustrating for a young team like the Bears. I think Northern Colorado has enough talent to match up with Northern Iowa, but they aren't quite ready to win a game like this. Weber State is 2-0 after beating Utah State, while UC Irvine is off to an 0-2 with tight losses at California and at San Jose State. The Anteaters (what a great nickname) have not been very consistent this year, but they like to push the tempo a bit (they just haven't been able to shoot well this year). Weber State has been a little too reliant on the three-pointer this year, and they will need to get some inside scoring from guys like Kyle Tresnak and Byron Fulton, but they should have enough firepower to win this sneaky tough road game. I kind of get that feeling as well... a young team can get really frustrated with a team like N. Iowa, who is going to really slow the game down and focus on playing solid defense above all else. That can definitely lead to bad shots and carelessness.